Imagine if, with no effort on your part, every web connection you made was secured, even the most ordinary, such as visiting our fair site while not logged in. You might think, why bother when I’m just visiting sites I read or use for reference—sites where there’s no personal or financial information to steal? The Great Cannon of China may make you reconsider that, even as it’s becoming easier. More ordinary websites are adding the option to browse securely all the time. You can get plug-ins to help, and new methods of encrypting whenever possible are being baked into browsers. 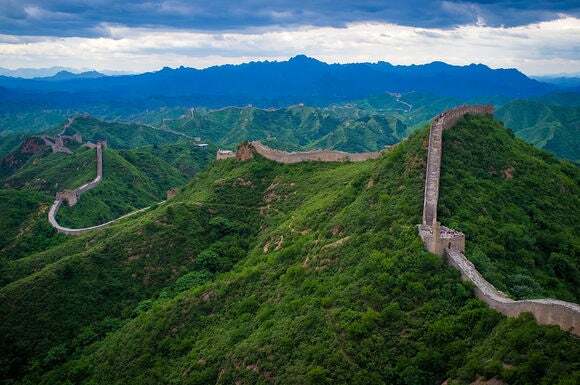 The Great Firewall of China is a term coined to describe how authorities there block, intercept, and shape Internet traffic entering and leaving the country’s borders. Other countries, democracies and totalitarian, are known to have or believed to have efforts as strong, but not as invasive or disruptive with few exceptions. Now China has reportedly deployed a new tool: rather than defensive, it’s offensive, and has been dubbed by its discoverers, the Great Cannon of China. Put simply, the cannon rewrites webpages and other traffic crossing China’s data borders—such as to Baidu and Alibaba—and can insert code into pages that are then executed on the requester’s machine. The Great Cannon of China doesn’t even require that you visit Chinese sites. The cannon is cited as behind large distributed denial of service (DDoS) attacks. These typically involve compromised computers, in which malware has been installed in the past, and which regularly check in to control-and-command centers. When a DDoS is activated, which can be for hire, for politics, or as a tool to deflect attention for an assault elsewhere, thousands to millions of computers direct as much traffic as possible to a small target, even a single address. This sort of vector needs millions of users visiting sites with most visitors using an insecure connection for at least part of their session. It doesn’t even require that you visit Chinese sites: any third-party advertising system or other embedded page element at a site you visit that’s hosting part of its content in China can also be affected. Over the next year we’ll evolve from using HTTP to using Secure HTTP (HTTPS) while browsing and viewing content on our service. This helps protect member privacy, particularly when the network is insecure, such as public Wi-Fi, and it helps protect members from eavesdropping by their ISP or employer, who may want to record our members’ viewing for other reasons. The other side is to use browsers and plug-ins that preferentially use encryption and encourage browser makers to step up to enable that functionality. The more users who demand want always-secure connections, the greater the pressure for sites and services to offer them. Some discussion forums and other web components aren’t yet fully compatible with an always-secure world, making pages load incorrectly, but that’s already changing. The more users who rely on and want always-secure connections, the more they will see broken pages, and the greater the pressure for sites and services that lag to upgrade them. Also on the roster is opportunistic encryption (OE), a technology pushed by Mozilla, makers of Firefox, to allow sites to use secure connections that aren’t backed by the kinds of certificates that are signed by central certificate authorities. While those certificates are best, and are part of making sure a site is legitimate, the OE argument is that some encryption is better than none. Mozilla released Firefox 37 with this feature enabled, but a potential exploit let them to disable it in 37.0.1: a malicious party might be able to fool Firefox into accepting an unsigned certificate instead of the legitimate one. This is fixable. Eventually, all browsers—Apple’s included, based on the direction of things and their attitude towards end-to-end encryption—will try to make every connection a secure one, turning down the payload of the Great Cannon and many lesser ones, while also pushing other parties out of our business, whether personal business or the commercial kind. As government officials of any nation try to explain why this kind of encryption everywhere is bad, keep the cannon in mind.